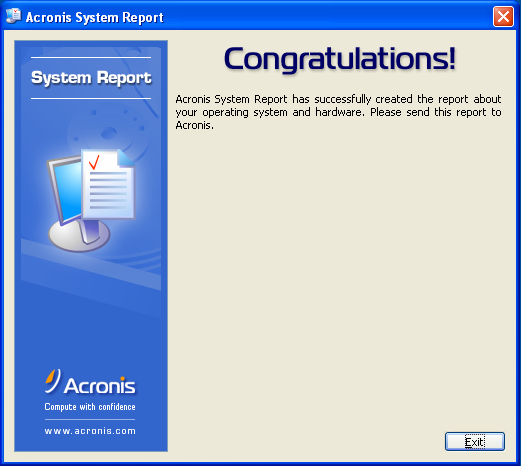 When sending a support request to Acronis Customer Central, it is always a good idea to send the output information of the Acronis Disk Report utility that you can run on your machine. Attaching the Acronis Disk Report file to your request for support can expedite request processing and will let an Acronis Customer Central Representative have a clearer understanding of the situation. 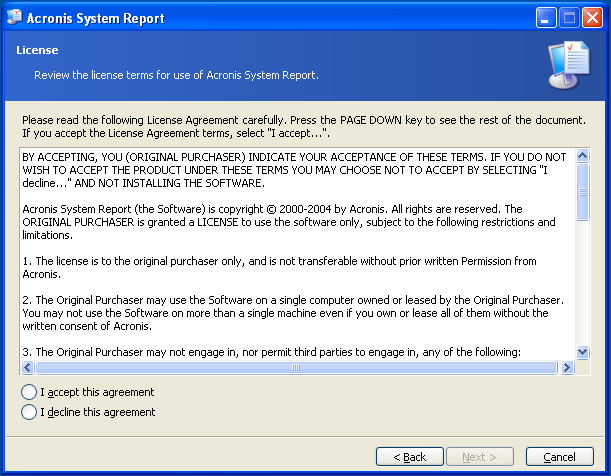 The Acronis Disk Report utility cannot and does not collect confidential data from your machine. 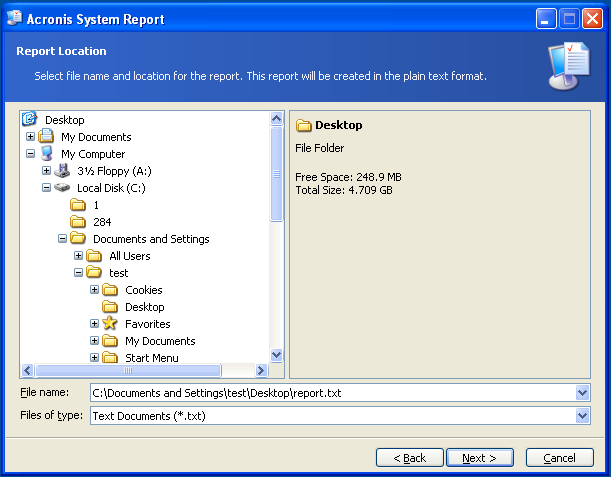 If Acronis Disk Report detects there are file system errors on the disk, then it is recommended to repair the errors on your disk. File system errors are likely to prevent your Acronis product from functioning properly. 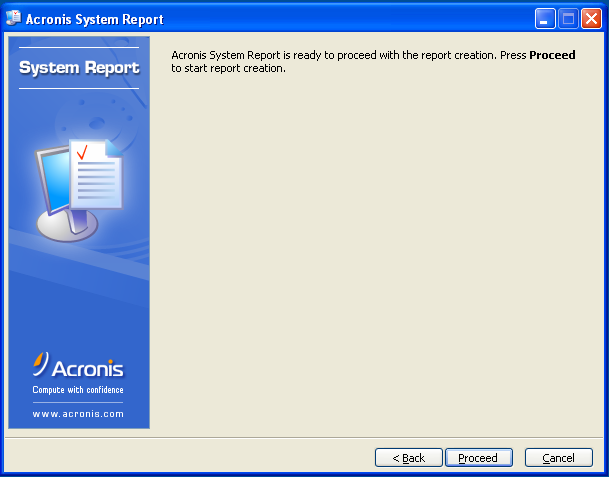 To make sure there are no file system errors on the disk, please run Acronis Disk Report and analyze the output as described in this document. After the partition is repaired, you may want to check if your Acronis product functions properly now. 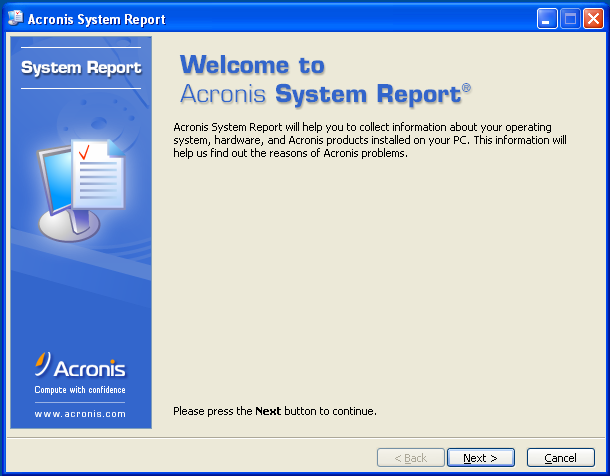 If there is an issue that you are experiencing with Acronis software when running it from a standalone version (not from Windows), it may also be useful to have Acronis Linux Report. 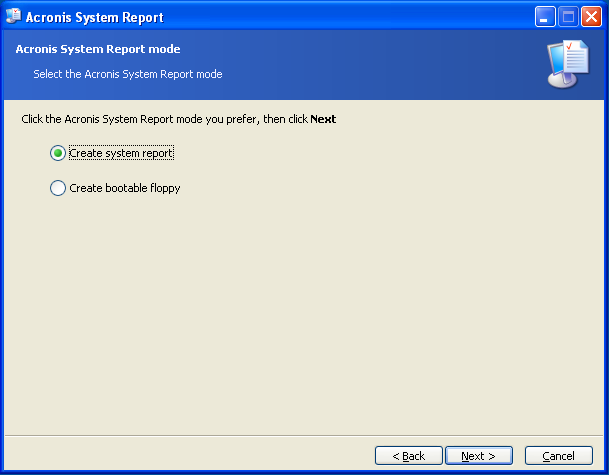 Acronis Disk Report will appear on the selected media as report.txt.